GAAR (General Anti-Abuse Rule) – used to determine whether schemes are abusive; and a series of measures to punish those who use, promote and enable tax avoidance. There is a clear distinction between evasion and avoidance. Evasion is illegal. It involves those individuals or businesses who deliberately don’t pay the taxes they owe. For example, holding money in ‘secret’ accounts offshore and not declaring the interest. Or a failure to declare cash in hand earnings. In recent years these situations have been dealt with by exchange of information agreements between countries, and with amnesties allowing taxpayers to settle their liabilities before any legal action is taken. Tax avoidance schemes, on the other hand, are designed within the letter of the law but not necessarily in the spirit of legislation. They serve little purpose other than saving tax. Individuals are allowed to arrange their financial affairs to make full use of the allowances and exemptions on offer. And this includes transferring assets between spouses/civil partners to make use of two sets of allowances. The tax system is not just about raising tax. The Government introduces tax breaks from time to time to influence behaviour. No one would consider tax relief on individual payments into pensions as avoidance – the legislation is specifically designed to encourage people to save for retirement. When it comes to gifting lump sums into trust, as well as any potential IHT saving for the settlor, the amount gifted will be usually enjoyed by someone other than the settlor. The purpose is more than just saving tax. With regard to discounted gift schemes, HMRC has even issued detailed guidance on how discounts should be calculated. Neither are normal investments in offshore bonds avoidance, although they are strictly controlled by tax legislation which not only prescribes how they will be taxed, but also places an onus on providers to supply chargeable event certificates to bondholders and the HMRC whenever a taxable gain arises. HMRC are more concerned with the minority of individuals and companies who bend the rules. The schemes used are often complex (not to mention costly) and, although legal, involve artificial transactions, which serve little or no purpose other than to produce a tax advantage. HMRC’s initial approach to stamp out avoidance was via specific legislation. The problem with this was that as one door closed, some planners would seek a way to open another. To stem the flow of avoidance schemes, the Government felt that a broader approach was needed. First came the DOTAS regime. The idea behind this is to give HMRC early warning of new tax avoidance schemes that are being marketed and to give them the opportunity to consider whether they might wish to attack them or not. The DOTAS regime has now been extended to cover arrangements where IHT mitigation was the objective. This was followed by the introduction of the GAAR. This applies to tax arrangements which are, in HMRC’s opinion, abusive. 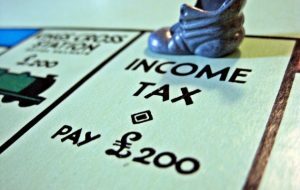 Tax arrangements are abusive if entering into them cannot be regarded as a reasonable course of action given all the circumstances. Typically, such arrangements would involve one or more contrived or abnormal steps, which are necessary in order to generate the tax advantage. The latest anti avoidance measure for 2017 is the imposition of a financial penalty on the enablers of a scheme that fails the GAAR test. Enablers include anyone involved in the design or promotion of a scheme and who may ultimately benefit from a client using the scheme, e.g. by charging them a fee. The intention is clearly to deter anyone in the supply chain from getting involved in the first place, killing such schemes at first base. Here at The Financial Planning Group we always advise investors to look for a structured, disciplined approach, rather than gamble their life savings away chasing unrealistic returns or by using complicated tax avoidance schemes. Our aim is to change the fundamental relationship people have with their money, and to give them confidence and clarity in their own future. If you would like to find out more please call 0800 731 7614 and ask to speak to either Tim or Alan and they will be happy to arrange a meeting in their offices in the heart of Teddington.